It’s about 30 years since flexible plastic conduit begun to be used in our daily life. Compared with flexible metal conduit, and liquid tight conduit, flexible plastic conduit is cheaper and easier to be fixed. Now, more and more factories can produce flexible plastic conduit, but I think a huge of business opportunities are still exist in the market. In the beginning, pvc flexible conduit are used to protect wire and cables. pvc is used to be produce pvc liquid tight conduit in the past a long time. But pvc is less eco-friendly, some other materials are better than pvc, like pe, pp, pa. Today, rohs pvc is also used in the construction, pe and pa with rohs are widely used in our daily life. In the past, the mold is hard to be built. especially for the large sizes. So we always used the small size, such as 18mm, 25mm, 30mm etc. And now we can produce the size 1200mm(out diameter). But it is not used to protect wire and cables, to drain off water. 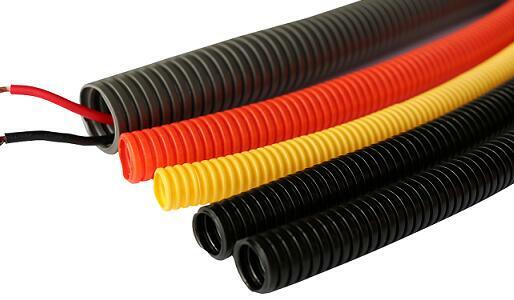 From the past 30 years developments of flexible plastic conduit, I think there will be more and more eco-friendly materials are used in plastic flexible conduit in the future, and the size will be bigger and bigger.